I just want to express my thanks to you for all you have done to assist me with my vision problems. I am so thankful that I was referred to you when I experienced my detached retina. I was particularly impressed that you met me at your office after hours. In the anxious state I was in, it took awhile for me to understand what could be done and how. You were very patient in explaining my treatment options… It is so refreshing to find a specialist such as yourself, who genuinely takes a personal interest in his patients. It can be truly said you have healing hands. Dr. Logani reassured me that everything would be fine! This was a very difficult surgery, however with the good care and his specialty I did not hesitate to go through with the whole procedure. I praise Dr. Logani and his staff and feel that this office will be part of my family. There is light at the end of the road. Six months ago a black curtain had progressed to where only 25% of my vision remained. I was totally frightened when I found out that I needed immediate surgery for my torn and detached retina. Dr. Logani and staff not only gave my sight back but were so gentle and understanding of all my fears. Thank all of you. I was very frightened when I was diagnosed with melanoma in my right eye. Dr. Logani was very encouraging and helpful. The staff and Dr. Logani have always been available to answer my questions and reassure me. Thank you!!! When my ophthalmologist discovered I had a detached retina he immediately called Dr. Logani. Dr. Logani cancelled his appointments for the day and met me at his Beverly Hills office. His examination confirmed that I had a detached retina in one eye and several tears in the other eye and operated on me the same day. When I went for a follow-up visit to my ophthalmologist, he commented favorably on Dr. Logani’s surgery. After the operation Dr. Logani was available anytime I felt there might be a problem with my eyes. Thank you Dr. Logani! Dr. Logani, Both my wife and I would like to thank you more than words can say. You are one of the most generous and loving persons that we have had the pleasure of meeting. Your deep concern for the welfare and care of our son has touched our hearts. We are so many miles away from him, but knowing that he is in your care eases our hearts. May God bless you for your caring heart. After a visit with my doctor who wanted a second opinion, I went to see Dr. Logani. He recommended a procedure with which I was unfamiliar and a little apprehensive. Everything was much easier than I anticipated. A great office, a great group of people-they make me very comfortable, even my daughter was impressed. Thank you all. I have found the services received from Dr. Logani and his staff to be very thorough and successful. He explained all facets of my problem and the procedure to be used to make the required repairs and corrections. While the nature of the operation and recovery was inherently frustrating at times, Dr. Logani was comforting and reassuring at all times. I am totally satisfied with the results. To be able to see and enjoy all the things you have accomplished in your life-all the blessings you have been given in your life, don't allow neglect of your eyes to rob you of the most precious gift from God, your eyesight. Copyright © 2016. 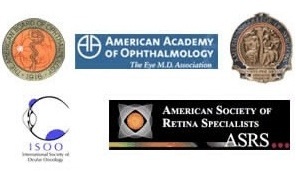 Advanced Retina Associates Medical Group, Inc. All rights reserved.